A disappointed Michael Clarke arrived home from United Arab Emirates on Wednesday eager to shake off Australia's Test series loss to Pakistan and begin his side's World Cup buildup in a one-day series against South Africa. Clarke's side were hammered by Pakistan in the two-Test series, losing the first game in Dubai by 221 runs and second in Abu Dhabi by 356 runs for a first series loss to Pakistan in two decades. The 33-year-old captain also struggled with the bat -- 57 runs in four innings -- but he was keen to refocus his attentions to the five match series against the Proteas, who are the top-ranked one-day side in the world. "I'm extremely disappointed with our results," Clarke told reporters at Sydney airport. "I'm more disappointed with my personal performances. "But we have had a couple of days to think about things and in a week's time we have a really important one day series against South Africa. "I guess I see that as a positive with the quick turnaround. We're back on the field. 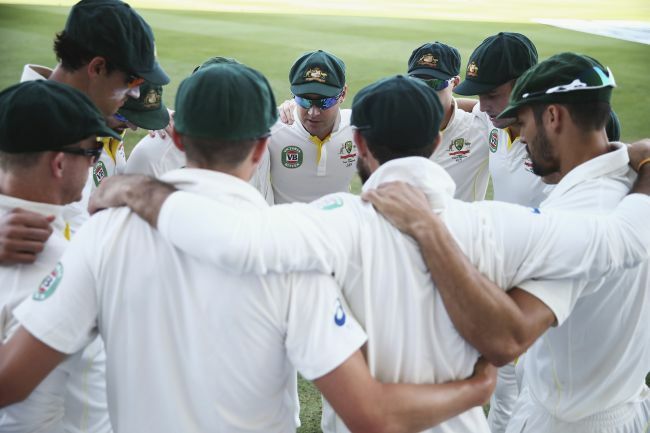 I know it's a different format but in Australian cricket, winning is what's important." 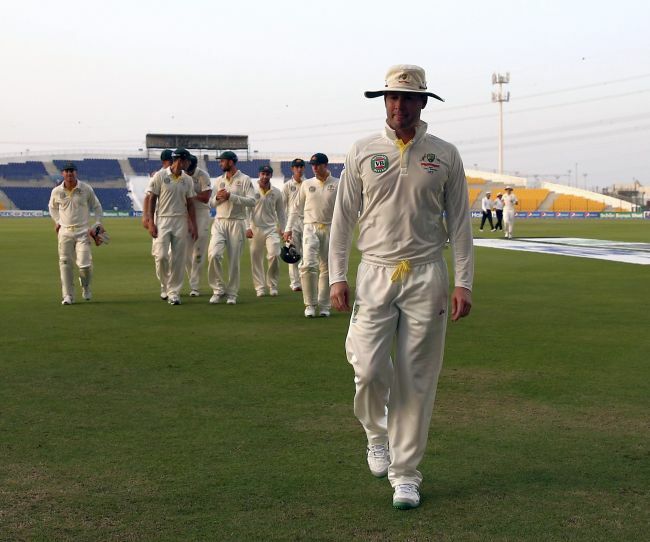 Michael Clarke leaves the field. Photograph: Ryan Persie/Getty Images. Clarke, Australia's best batsman for the last three years, was somewhat taken aback at having to field a question over whether his captaincy was in jeopardy. "I think my performances over the past five years have been pretty consistent and I think my captaincy's been pretty consistent over that period as well," he said. "So hopefully I'm not judged just on two Test matches." The series against South Africa is the beginning of Australia's final warm-ups before they seek a fifth one-day World Cup title in the Feb. 14-March 29 tournament they co-host with New Zealand. "The one day series against South Africa is huge for me. They're the top one-day side in the world," he said. "The World Cup is not far away so the one-day guys are very focused on building momentum in every series we play in. "If anything it gives you more hunger if you fail (so)... I'll be at the physio this afternoon. I'll be training tomorrow morning. I'm keen to make some runs." Dashing Virat Kohli turns 26!